When value and performance matters ... Choose Excalibur! Sureflo Lite Commercial Reverse Osmosis Systems (SFLC Series) provide between 1,700 and 3,400 gallons/ day, with maximum flow rates up to 2.4 gallons/minute. There are two models in the series, providing 1.2 or 2.4 gallons/minute of filtered water. 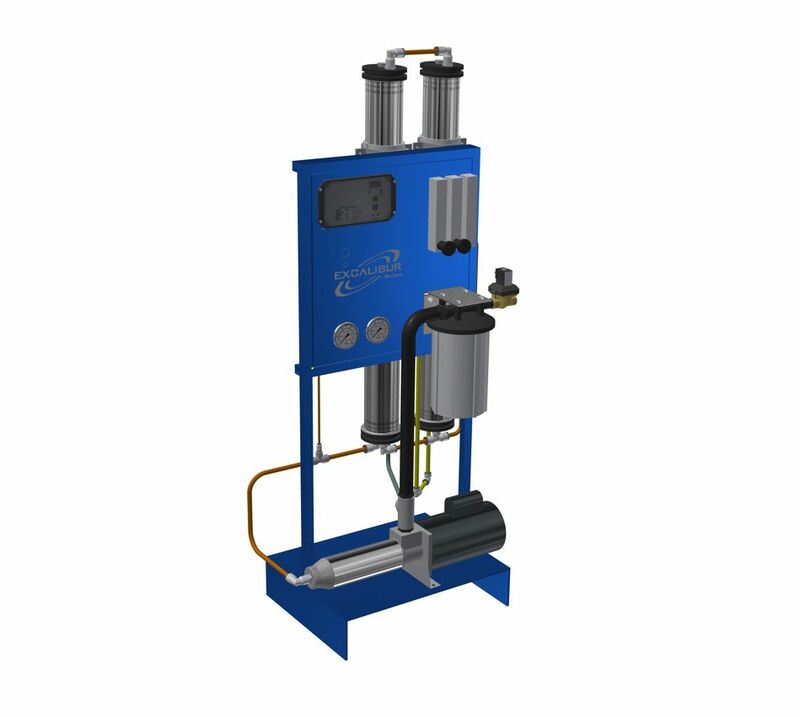 All units are mounted on a carbon steel blue painted frame, equipped with a microprocessor-controlled booster pump, low feed pressure cutoff and an oil filled pressure gauge. For more details on all units in the SFLC Series, click here. Contact our office or visit our facility, we would love to introduce you to a dealer in your area.